Urinary Leg Bags, manufactured by Hollister, are comfortable, discreet urine leg bags that won't slow you down. Quality materials result in soft, comfortable, durable bags pleated sides increases the volume but not the length. 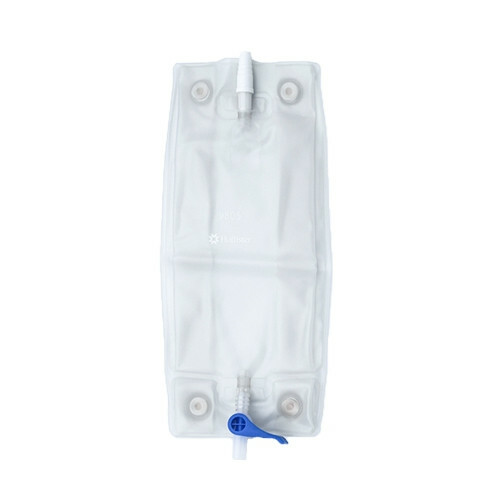 Hollister Urinary Leg Bags protect the skin from pressure points by placing leg strap connectors and drain valve away from direct contact with leg. The universal size and shape allow these bags to be used with straps and holders of your choice. Safely and easily conducts urine through its drain valve; easy to open, closes securely even with limited dexterity. Large buttons for easy attachment. Anti-reflux valve. Latex-free. How long is the 19 oz bag? The length of the 19 ounce bag is 10 inches. For future reference, the 30 ounce is 11 1/8 inches. My husband has used the leg bags for last 2 years and no problem until recently. Now the bag is coloring blue after only 2 0r 3 days use. I thought of a UTI infection, but the night bag has no problem at all. Have rinsed them with vinegar and water, but discoloration persists. Any solution? It may be a problem with the item itself. We recommend contacting the manufacturer with specifics about the problem to see if they have a solution available. Overall I've been very happy with this product. They are made of a soft flexible plastic and I have never had any problems with leaks. government says they are un-needed. These keep me working without a brake and they price is great! The bag, the soft tubing and the wide straps for the bags are excellent. I wear the bag between my knee and my ankle. I cut the tubing to the length I need with scissors, and then use the adapter on the tubing to connect to a silicone condom catheter. When I need to drain the bag, I raise the toilet seat, place my foot on the edge of the bowl, raise my pant leg a few inches and flip the lever down to drain it in 10 to 15 seconds. Couldn't be easier. The only bag I've never had to worry about! Quality product. I'm a frugal shopper and I have tried many, many of the other leg bags available. This is the only one that works every time. This is the third or fourth different type bag that I've used over the last number of years. 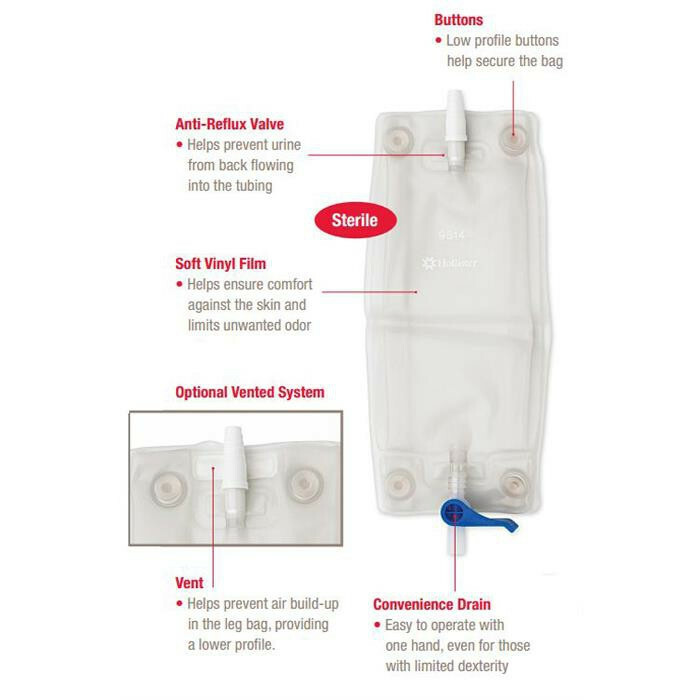 What I like the most about this bag if it's the fastest to drain and the way it's compact until it fills. Also, Vitality Medical not only had the best prices but also delivery was exceptionally fast. Quality is not up to standard. I am disappointed in Hollister and the way they are not checking the bags they sell. Don't be wasteful in your shipping & handling. Bags & straps in separate boxes which is wasteful of our resources and more expensive for shipping and handling.